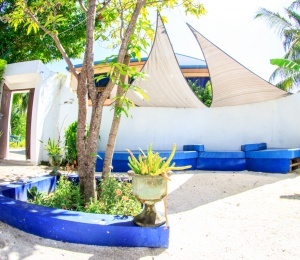 We are situated just 200 meters from the bikini beach, with daily Boat trips to surf or snorkeling, activities like Yoga admiring the sunset or sunrise. 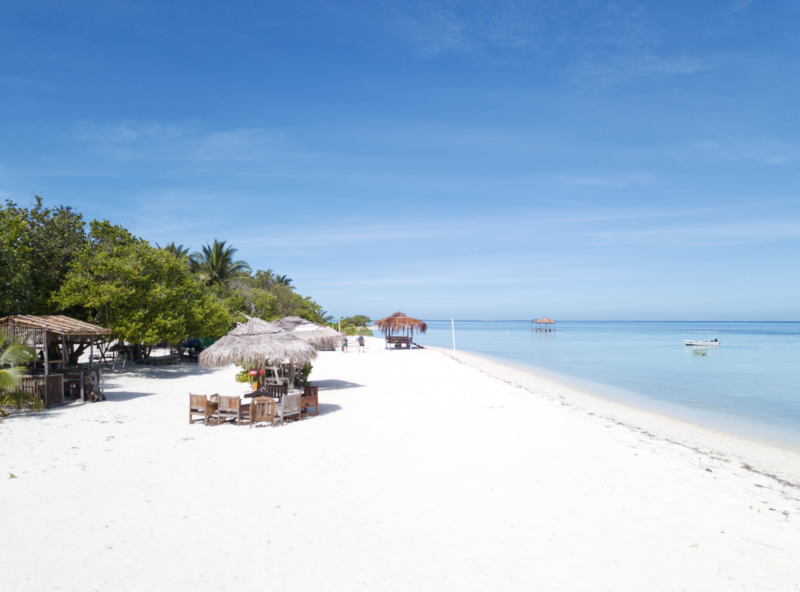 With a private sand bar and yoga deck, our guest can wear bikini at your property enjoy the privacy and have great healthy meals. 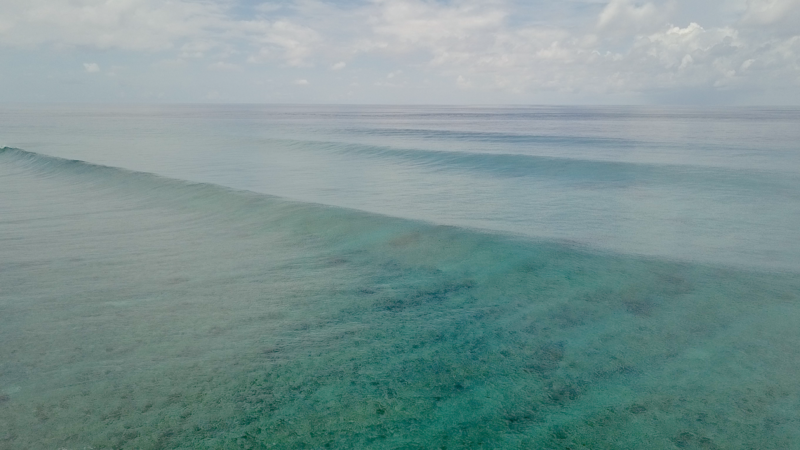 Surfing everyday by Boat or by walking just 10 minutes distance from the surf spot (jailbreaks). 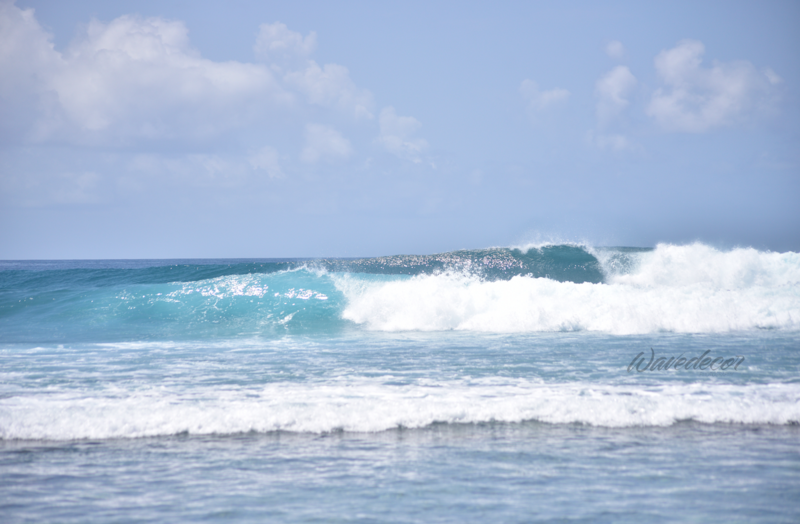 We can bring you by Boat to 6 different surf spots. 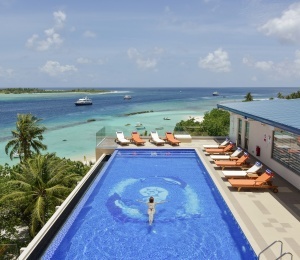 Our hostes will show you the best of Maldives. 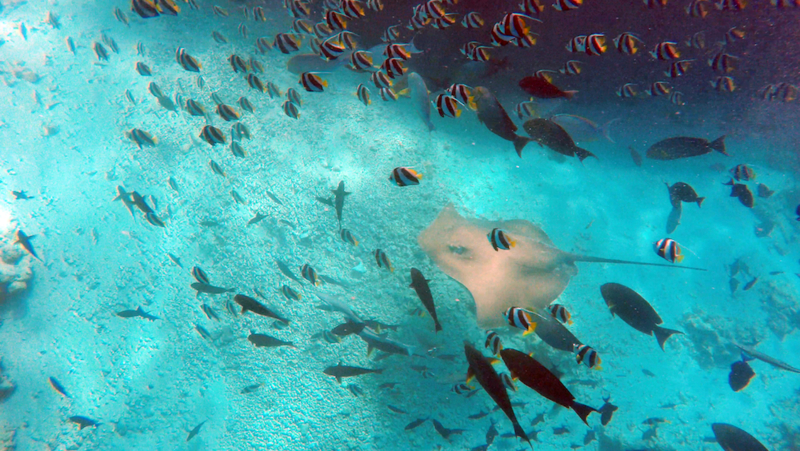 Secrets snorkeling reefs, tips for surfing and get the best conditions of the day. 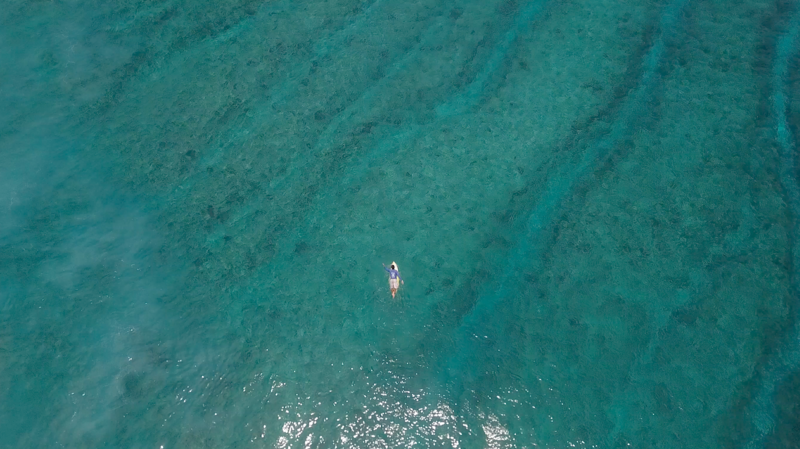 Swim with Turtles, see small reef sharks, jump from the boat go surf 2 times a day by boat and a relax yoga session to complement your activities. 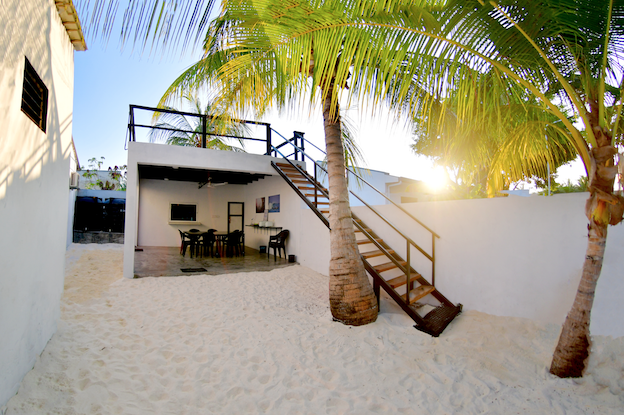 Surf clear water reef breaks and admire the sunset while doing yoga at our private deck. We will give great options of healthy meals, combining variety and quantity for who spend all day long in the water. We still can organize day use at resorts, full day trip to other islands or a dolphins watch trip. In general the weather conditions in Maldives is great, sunny days and very hot felling. Bring your best suncream and reef boots. We will make your Hollidays in Maldives unforgettable. 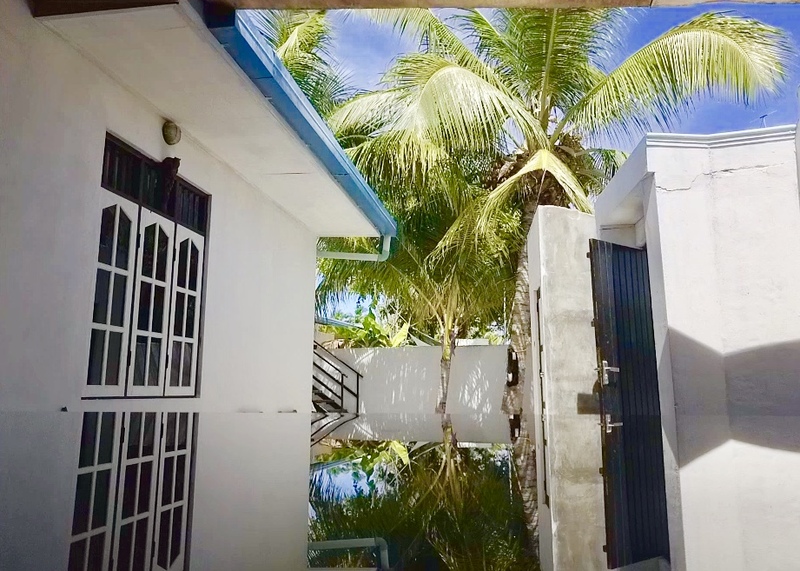 We are located in Himmafushi island, just 35 minutes speed boat from the international airport in Male. We offer our guest boat trips to Jails, Honkeys and Sultans (its just 15minutes from us) or a full day trip to Nijas, Cokes and Chickens (1 hour from us). At our property you can have the biggest rooms around our island. Facilities as Duvet, Air conditioner, hot shower and comfortable beds. 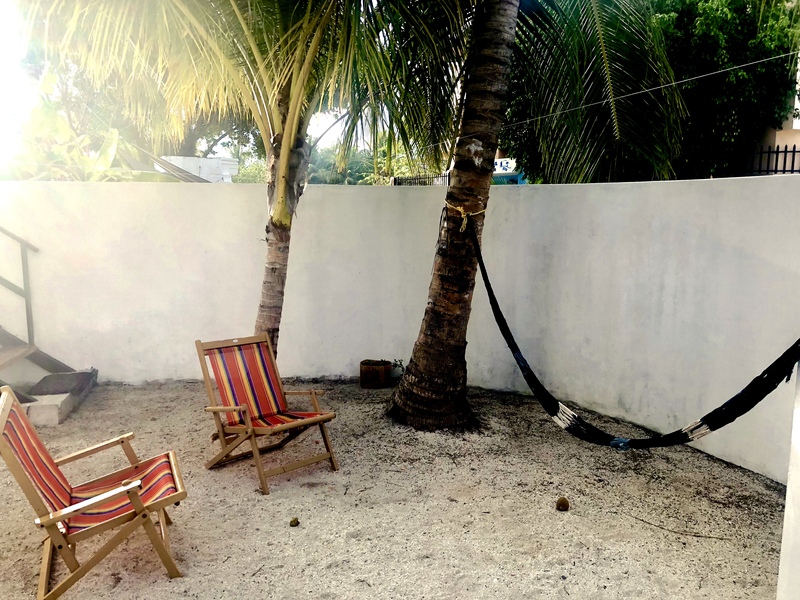 At our reception area you will find a great shadow to rest or do some stretching off the sunny days. At outside area guests can walk in sand having the feeling to be in a beach, get some tend or read a book. 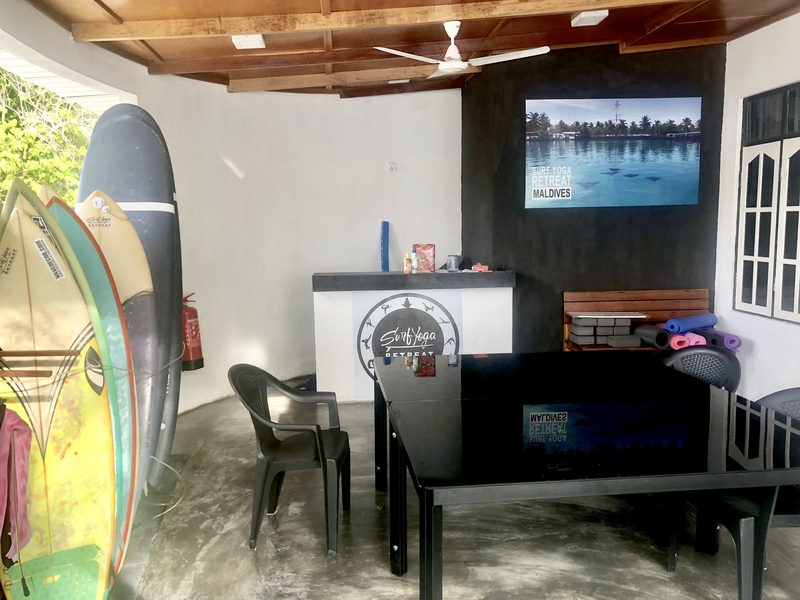 Just in front at our restaurant area we will offer a great variety of healthy food specially developed to surfers. In the roof top, its our Yoga deck...perfect for sunrise or sunset views during the session. Guest can't use the kitchen as our staff will be available to any request. We have available International menu or a special menu for groups. Our daily boat trips (followed by surf guide) its mainly for SURFING and snorkeling surf spots like JAILBREAKS, HONKEYS, SULTANS, but could be to visit other Island, full day trip to Ninjas, Cokes & Chickens and following Dolphins, Mantas or Whales (if we were lucky). We are not a surf school but we will change experiences to you learn and improve your surf as much as you want. Beyond all the information, tips, advices and exercises provided by our surf guide about: surfing in general, paddling, breathing, surf spots… we believe that Yoga is the perfect combination & complement, and will help a lot everyone doesn’t mattering your level, once it will be focused on the needs of each customer. Our sessions are composed by exercises of balance, stretching, core strength and much more. 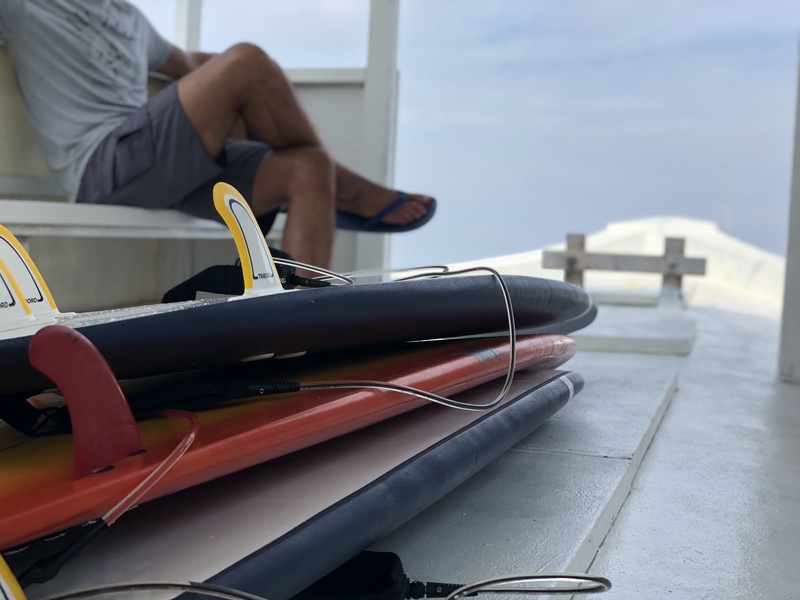 Early morning session (before breakfast) to revitalize and energize the body to the surf, and afternoon session (after second surf) to recover, align and relax the body with the sunset. The balanced & nutritious meals were developed to offer the best variety and source of ingredients with nutrients in composition. 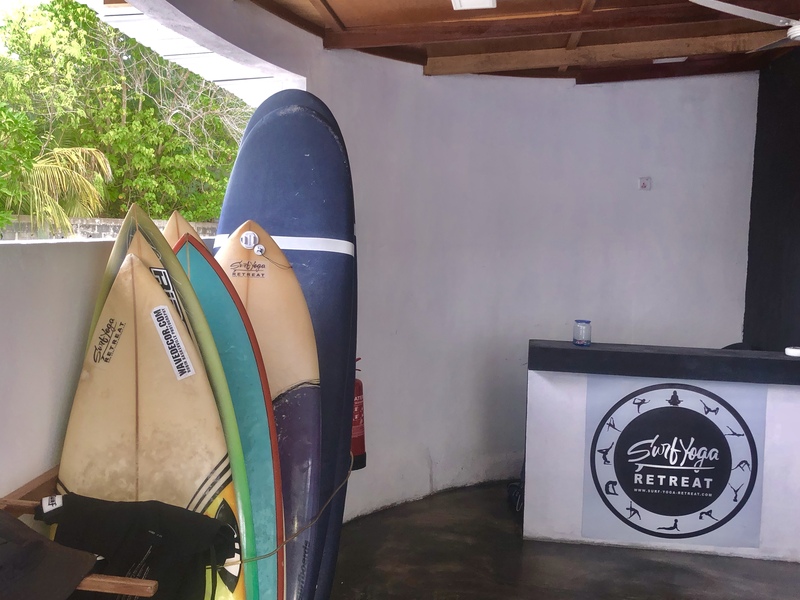 We explore all vegetables according to seasonality and cater to any dietary requirement, and this has become the highlight of Surf Yoga Retreat. 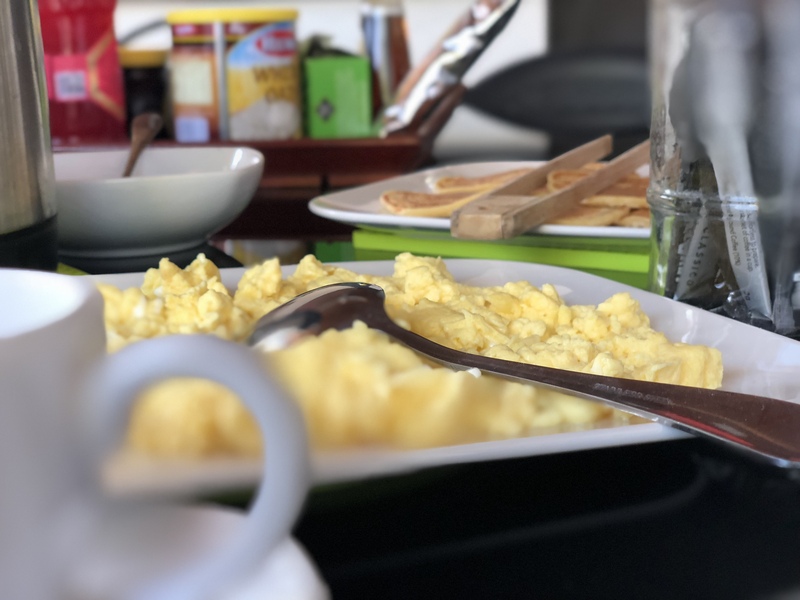 SURFINN © 24-04-2019 04:20:06. ALL RIGHTS RESERVED.